At Portola Del Sol, you’ll never be far from all that Las Vegas has to offer. Our pet-friendly apartments in the heart of Northwest Las Vegas, NV, give you easy access to abundant shopping, dining, and entertainment. Minutes from Meadows Mall, as well as a short drive from the Las Vegas North Premium Outlets and the boutiques of the Downtown Container Park, weekend shopping trips are quick and easy. Stock up at Trader Joe’s and Costco, or pick up some soul food with your groceries at Mario’s Westside Market. When you want to eat out, choose from a wide selection of cuisines nearby, including Korean-Mexican fusion, Hawaiian, barbecue, Peruvian, and plenty more. On weekends, head to Lorenzi Park or Springs Preserve with the kids, or hit the green at the Las Vegas Golf Club for a relaxing afternoon. Enjoy dinner and a movie at Eclipse Theaters, or load up the car for the West Wind Las Vegas 6 Drive-In. With downtown a quick drive away, you’ll always have plenty to do close to home. 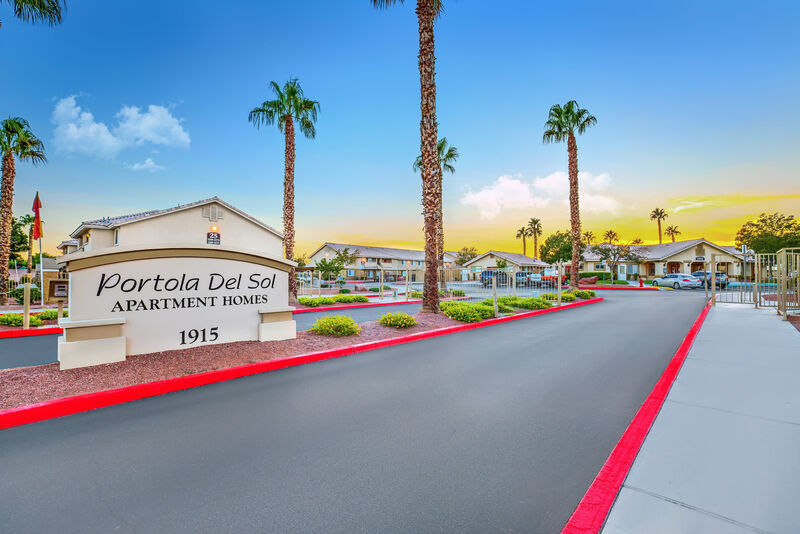 Portola Del Sol is conveniently situated on the RTC bus line and is just minutes from US-95 and I-15 to make your daily commute as easy as possible. With major employers like Nellis Air Force Base, the Department of Defense, McCarran International Airport, Clark County School District, and several large casinos all nearby – you may not have to drive far at all. Families will appreciate the many schools close by, including Ollie Detwiler Elementary just around the corner. Discover all Northwest Las Vegas has to offer. Call us to schedule your tour.